Accommodations: Comfortable hotel accommodations with breakfast buffet located in the heart of Gion, the cultural heart of Japan and walking distance to some of the most beautiful destinations in the region. This prime location helps us to efficiently get started each day. Quality is priority #1. This intimate Tour is limited to a maximum of 6 photographers. Step 1: $1500+gst (5% CDN tax) non-refundable retainer is due at the time of booking to guarantee your spot on the Japan photography tour and to remove it from inventory. The $1500 retainer is not refundable. Contact me using the Contact form or call me toll free to arrange payment with Visa/MC or bank transfer. You can me in Canada at 403-763-1114. Step 2: Purchase the balance of the tour on or before January 1, 2019. You can purchase the entire tour in one transaction at the time of booking you’ll receive a $100.00 refund on the total tour price. ILPA members will also receive an additional $500 refund on your final payment at total tour cost. If the total payment for the tour is not received before Feb 1, 2019 you’ll forfeit the retainer and your spot will be placed back into the tour inventory and will become available for someone else to purchase. Click to contact me with questions! co-leading the tour = Quality! All dates and times in Japanese time unless otherwise stated. Our all inclusive Japan Photography Tour in the cultural heart of Japan, Kyoto, during the peak tourist season of the year might be something you’ll want to attend. There is no other English speaking and Japanese lead photography tours like this available during peak tourist season in Japan, the peak of the cherry blossoms in the cultural heart of Japan. 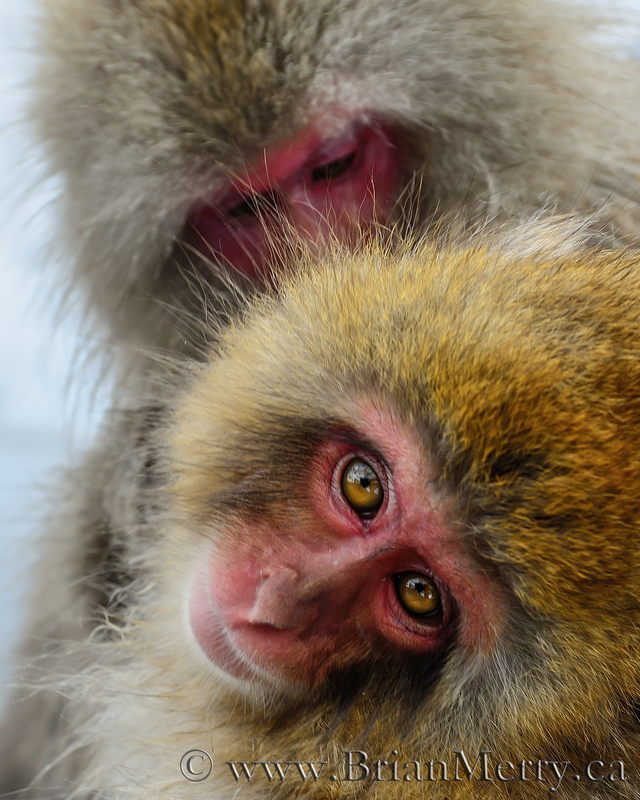 This is the best of the best Japan Photography Tours really. Join Kazue and I in our small intimate group tour of 6 guests maximum as we show you the cultural heart of Japan and Kazue’s home country for the first 30 years of her life. This promises to be a culturally rich Japan travel photography tour as we show you her native land from a photographer’s perspective. We’ll explain Japan’s unique culture through the eyes of a Japanese citizen, Kazue, while we coach you on how to photograph it in the streets, on our cultural walks, in the gardens of blooming cherry trees and during traditional cultural theatre performances. Be prepared to walk 4-6 km per day during the tour. during the usual peak of the cherry blossoms in the cultural heart of Japan. This is PEAK tourist season in Japan, not the shoulder season like you’ll often find on other photography tours of Japan being offered at pretty much the same price. We will see cherry blossoms in bloom. The only question is if we’ll hit the exact peak of the bloom. I know the area very well and have determined that this is the usual peak so we should have a great trip! I believe that we offer the best English speaking, Japanese lead, photography tour of Japan available today. How can we do this? The Locals and the Pros know how to do it, and Kazue and I are exactly that. Together, we both have the intimate local knowledge and the professional travel photography experience to deliver a top notch tour. 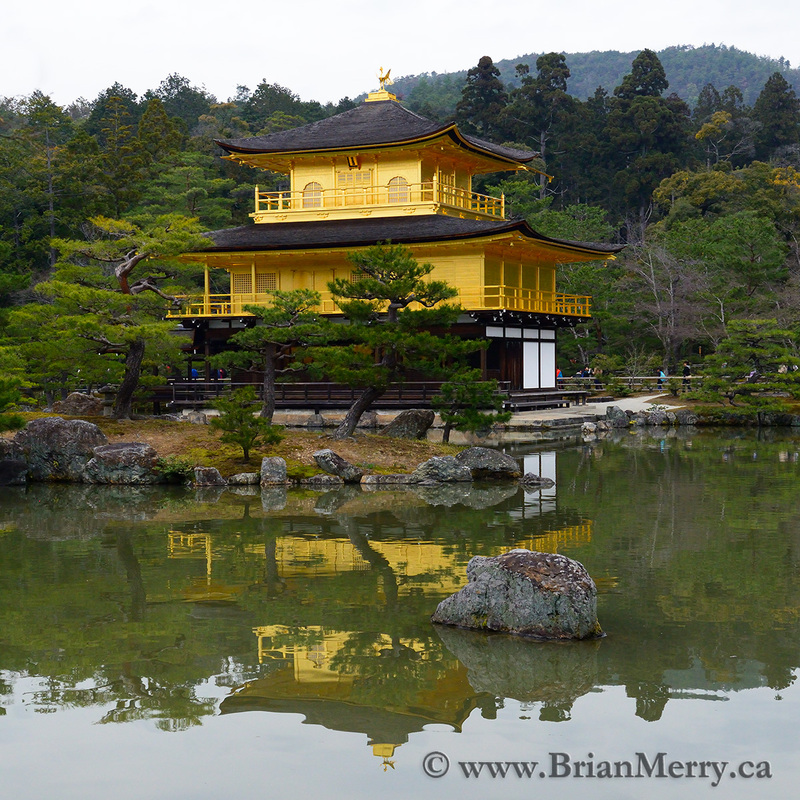 a photographic tour of the Japanese golden temple, Kinkaku-Ji. The temple exterior is covered in solid gold. and contrast that with the busy street life in Japan. Finally, as mentioned previously, we’ll base ourselves at a centrally located Hotel in Kyoto, located two blocks from the cultural tourist hub of Kyoto. You’ll be able to communicate with hotel staff in the lobby using broken English. Outside of the Hotel though virtually nobody speaks English, except other foreign tourists. Stick with us when you’re outside and you’ll have a great time. If you get lost Kazue has prepared a note for you to give a taxi cab so he’ll understand to return you to the hotel. 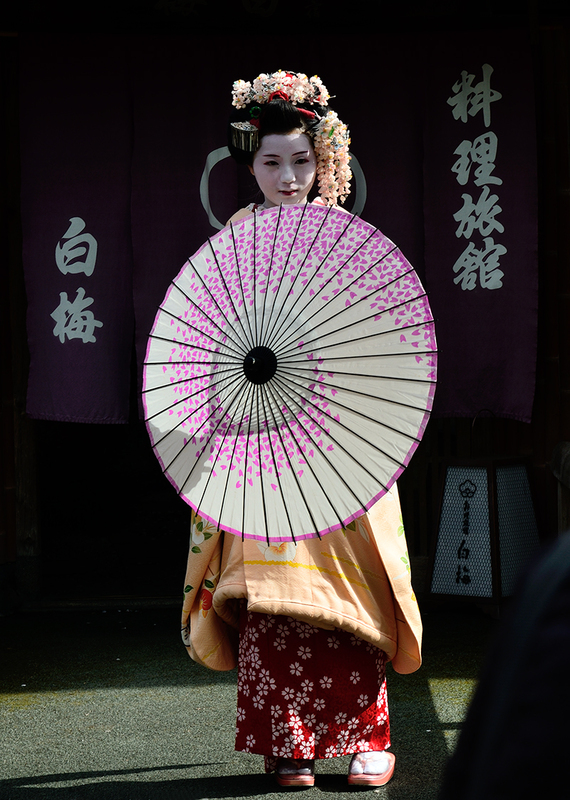 It’s very likely that we’ll have numerous chances to photography Geishas in their traditional kimono dress holding traditional umbrellas on the streets rushing between their social appointments. Don’t worry though if you don’t get a chance to capture Geishas and Mikos scurrying around the busy streets in amongst all the locals and tourists as they walk between social appointments. In the highly unlikely event that happens, you will definitely get a chance to photograph them during our evening session at the Geisha theatre where they’ll be performing for us live. Photography is permitted during their performance as well. ‘Kyoto’ is Japanese cultural contrast at it’s best. I sincerely believe that this will be a tour to remember for the rest of your life for all the right reasons! Would you like to be kept up to date on this tour? Let me know on my contact form that you want me to add you to the information email list for the Japan Photography Tour for 7 days and 6 nights during the peak of the cherry blossom festive season in the cultural capital of Japan, Kyoto. I’d be happy to answer any questions you may have as well. Please call me with your questions toll free in Canada at 855-763-1114 or 011-403-763-1114 internationally. I encourage you to email via my contact form for a complete answer and to file it in your email folder for your records. Also, I’ll be able to take my time to write a thorough and thoughtful email back to you via the your submitted contact form. Thank you for your interest and I hope to see you in Japan next Spring! After multiple trips to Japan to scout the tour with Kazue, a Japanese citizen and resident for the first 30 years of her life, we are certain that we are offering the best English speaking and Japanese lead Japan photography tour available. Day 1 (April 2): Travel – Check into the tour hotel located in the heart of Gion, the Geisha district, and major tourist in Kyoto. Arrive in Japan on your own travel schedule take a shuttle from the airport or taxi from Kyoto Station to the hotel. Meet Brian and Kazue to receive your registration package at 4:30pm in the hotel before the start of the tour and the group dinner. We will have a Japanese cell phone during the tour and will provide you the phone number about a week before the start of the tour. You will be able to call us when you get to Japan. You may also talk to me before the tour on Facebook messenger voice, or via email before you arrive in Japan. I will arrive in Kyoto before the day before the tour from Kyushu in the South of Japan and will be at the hotel waiting for you in the afternoon of April 2nd. We will be going for a photowalk after the included welcome dinner on April 2nd. – Check into your room. Evening Tour meet and greet. Night time photography of beautifully lit cherry blossoms in Maruyama-Koen Park and cultural walk through the ancient streets of the old traditional Geisha district of Kyoto. Day 2 (April 3): Path of Philosophy scenic cultural walk and tea ceremony welcoming you to Japan. We’ll Photograph along the inspirational Path of Philosophy. During our photo stoll we’ll attended and participant in a traditional tea ceremony along the way. The ceremony takes place is a beautiful teahouse located in the forest along our walking path. The ambient lighting inside of the teahouse is spectacular as it filters through the forest canopy and rice paper walls. We’ll also photograph the busy narrow streets of the bustling shop district leading up to Ginkaku-Ji, directly translated to “The Silver Temple”. Day 3 (April 4): After breakfast we’ll depart to photograph the first rays of sunlight on the path of philosophy and spend the rest of the day exploring photographing the busy streets of Japan and explore the Zen Temple. Day 4 (April 5): Today we’ll leave for a trip on a train across the city and transfer onto an original Japanese narrow gauge railway. We’ll ride the traditional train up into the mountains and transfer to traditional flat bottom boats for a float trip down the river back to Kyoto. Upon our return we’ll tour the temple, Tenryu Ji and walk the pathways of the beautiful and famous Bamboo Grove. We’ll also visit an area where the monkeies are approachable and close ups photographs mere meters or less away from the camera will be possible. Day 5 (April 6): Inari Jinja. We’ll head south to Fushimi-Inari Taisha through the Japanese subway system. That is an exciting experience in itself for some people. We’ll spend a pleasant day strolling / easy hiking in the mountains among the thousands of of red Tori gates that line the path. Along the way we’ll stop at some of the 30,000 shine complexes that line the entire hike for photography. In the evening we’ll have a tour wrap up dinner and social or last stroll through the . Day 6 (April 7): Check out from Hotel. Optional peaceful morning photo walk on the Path of Philosophy to say goodbye to the cultural heart of Japan. Fly back to North America on your own schedule. * All sales are final for this tour and refunds are not available. We want to thank you for expressing your interest in the Japan Photography Tour. And, due to the logistics and planning involved in this overseas tour we’re unable to offer refunds on your registration for the tour. We would love to have you along, but please note that all sales are final and refunds cannot be issued for any reason. We hope you are still able to fit this tour into your schedule. Kazue and I sincerely look forward to seeing you in Japan in 2019!